Description: Unique format carte de visite of William Burnes' bust. Burnes is wearing a three-piece suit with a tie. His hair is combed and parted. Possible relation to Peter Burnes, though the extent is unknown. Photographer is N.R. Davidson of 219 Fourth Street, Santa Rosa, Ca. Photographer: H. Kemp Van E.
Description: Cabinet card of two women in Victorian-era dress standing on either side of a man wearing a suit. Description: Cabinet card of a man's bust. He has wavy hair and is wearing a suit with a bow tie. Description: Cabinet card of a woman's bust. There are flowers pinned to chest and she has short curly bangs. Description: Cabinet card of a young boy's bust. He is wearing a striped suit with a polka dot tie. Description: 20th century cabinet card of John H. Davis. Davis is wearing a suit with a striped tie. The back reads, John H. Davis, May 1898. Davis Ln. Penngrove, Father of Ed Davis. Bernadette Davis was a niece. Description: Boudoir card of Charlotte Edwards Denman's wedding portrait. Denman is standing with her hands, gloved, and folded in front of her. She is wearing a corseted, bustled dress of silk. The skirt has a flower design, while the top has beaded tassels around the sleeves, and chest. Her veil hangs down her back and out of shot. She is standing in front of a painted studio backdrop. Boudoir cards are a type of cabinet card, though larger in size. Description: Boudoir card of Frank Denman. The sepia tone of the photo suggests it was processed with albumen. Denman is wearing a suit with a striped tie, pinned at the base. His hair is combed and parted, and his moustache is neatly groomed. Married Charlotte Edwards Denman in 1885. Description: Boudoir card of Isabelle Grigsby St. John Denman. Denman's hair is parted down the middle, slightly waved, and pulled back. She has on a black dress with an elaborate black lace collar. Pinned at her neck appears to be an ivory brooch of a girl's silhouette, with matching earrings. 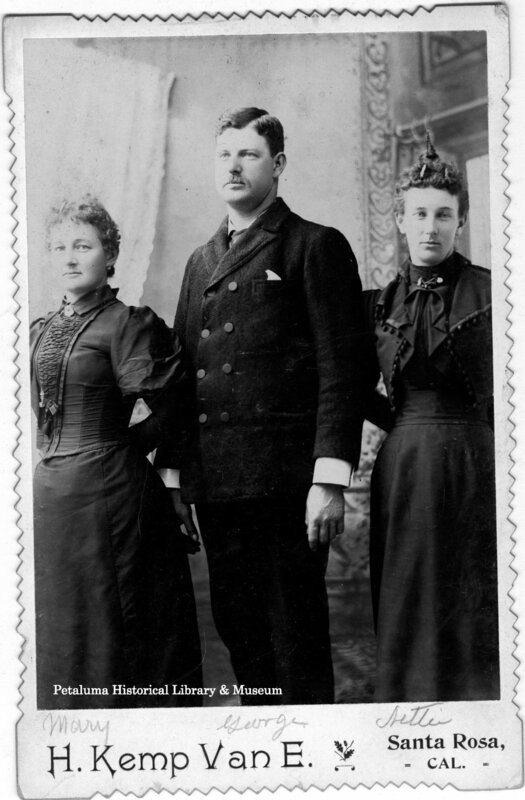 Denman's fashion, as well as the size of the card, suggest the photo was taken in the 1890s. Biographical Note: She is the mother of AnnaBellle St. John Whitney who married Arthur Whitney, son of Senator Albion P. Whitney and Susan Eastman. It is unclear to which Denman Isabelle was married. Description: Cabinet card of Isabelle St. John Denman. Denman wears a corseted dress with buttons going down the bodice, and a chain hanging around her neck. She has a high collar, with a brooch pinned at the base of her neck. There are three rows of tassels along the skirt. Her hair is braided into a crown. She is sitting in front a studio scene of branches and leaves. 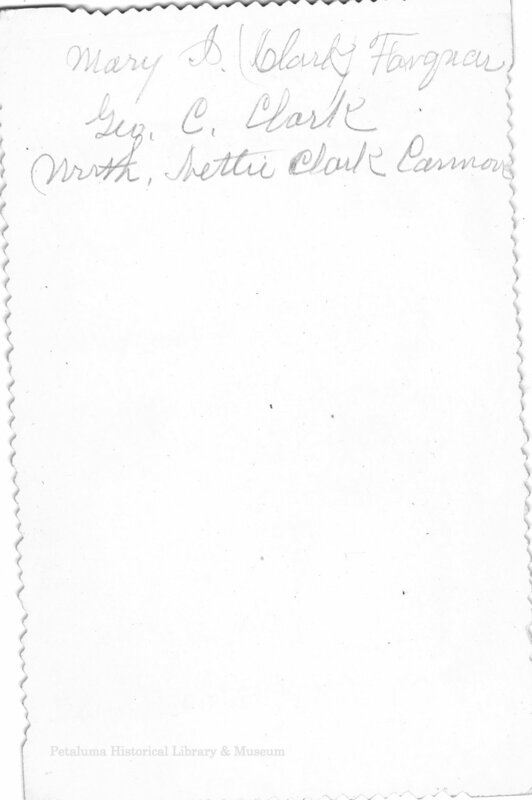 Biographical Note: Isabelle Grigsby St. John Denman is the second wife of Ezekial Denman, married August 5th 1877. Their daughter AnnaBelle St. John Whitney married Arthur Whitney, the son of Senator Albion P. Whitney and Susan Eastman. Studio Location: 914 Market St., Petaluma, California.